Last month we received a message from #RDgrantee Antonija Eremut Erceg, who was working as a public servant in the local government of the Croatian city of Solin, that the project she has been leading receives an EU grant of 3.3 million euros. What started as an idea, becoming a project after participating in and receiving a Research and Development grant following the Idea Camp of 2014, will now become reality. After congratulating her, we took the the time to unravel this success story. The Idea Camp – an incubator where fifty selected participants, Idea Makers, and a group of carefully curated mentors, Idea Feeders, closely work together, thereby transforming ideas into project-proposals – was an outcome of that change. The ensuing grant schedule too: 25 project proposals were awarded a research and development grant. The idea of Antonija Eremut Erceg – Majdan Solin – was among them. Her idea – “creating an interactive park and an urban garden on the unused five hectare green area in the city of Solin” – will materialize into “the most beautiful cultural and educational public space in the area (for me, in the whole universe).” How did this happen? And what can we all learn from the process? The former hydropower plant "Vrilo", launched in 1909. It has been out of function for years. Antonija, in those years since sending your idea you aligned with a series of partners. Firstly in and around Solin: your municipality; the governmental company Croatian Forests – Split; the University of Split (Faculty of Civil Engineering, Architecture and Geodesy); Public Institution for the Management of Protected Natural Values in Split, Dalmatia County; Permaculture Dalmatia (NGO); CEMEX Croatia (company); Zvonimir Solin Cultural Centre [as described in Build the City magazine], then on an international level in the EU Urbact consortium led by the Belgium city of Antwerp. Still, your idea of realising an interactive park and participatory urban garden remained true to its’ core. How did you get all these institutions behind your idea? Well, I timely and politely asked them to join in and contribute. And seriously, it wasn’t much different – the idea was to approach all the relevant stakeholders at the moment when the idea was just a “primordial soup”, focused on the research and development of new public space and social place at the most complex, underdeveloped and unused area at the source of the Jadro river. Croatian Forests was the crucial partner since they managed the site in the name of the owner, the Republic of Croatia. The local government and the state company even had a conflict a few years before I developed my idea, as the city of Solin wanted to build a football stadium on the marl stone quarry surface, which was not in line with forest management laws. For that reason, at the beginning of the process local government didn’t put too much hope that the idea would be supported by the Croatian Forests. However, we got the support and professional contribution from Zoran Sunjic and Ivo Saric from Croatian Forests during the ECF grant period, and later on they continued to support and contributed greatly in the process of arranging. The contribution of the Faculty, both its mentor professors and students, was invaluable and it gave the project a completely new dimension. If we had given the task of producing preliminary designs or scenarios to an architectural bureau, we would not have been able to get such a creativity, positive energy, citizens participation and wide ownership of the project. The Public Institution for the Management of Protected Natural Values in Split-Dalmatia County not only prescribed the guidelines for nature protection on the site, but they also are our project partner in the project “Jadro-The Source of Life”, worth 3,3 million euros, of which 80% is financed from the EU funds. NGO’s and local cultural institutions had their role in planning the intervention, and they will remain important in the management after the site gets developed. Company CEMEX Croatia always supports the actions important for the local community, especially those dealing with cement industry heritage revitalization, which this marlstone quarry definitely is. Thanks to the partnership with the Faculty that arose trough the Majdan project, we applied for the URBACT partnership and Solin was selected as a partner in the network sub>urban. Reinventing the fringe (Growth by Reconversion) with the city of Antwerp as a lead partner, exchanging knowledge and experience in urban planning and participatory practices with Barcelona, Vienna, Dusseldorf, Oslo, Brno, Baia Mare and Casoria. For us, it was like playing the Champions League! Looking back from now, four years older and not necessarily wiser, I would do everything just the same. The key of success was to invite stakeholders and citizens in the planning phase, giving them an active role, a regular feedback on the activities to keep their interest and trust, never speaking publicly of the challenges and obstacles you are facing to make an idea come true, and work really really hard. Three years from now, the ex-marlstone quarry and its’ surroundings will be an interactive public space where education, culture and leisure interact. 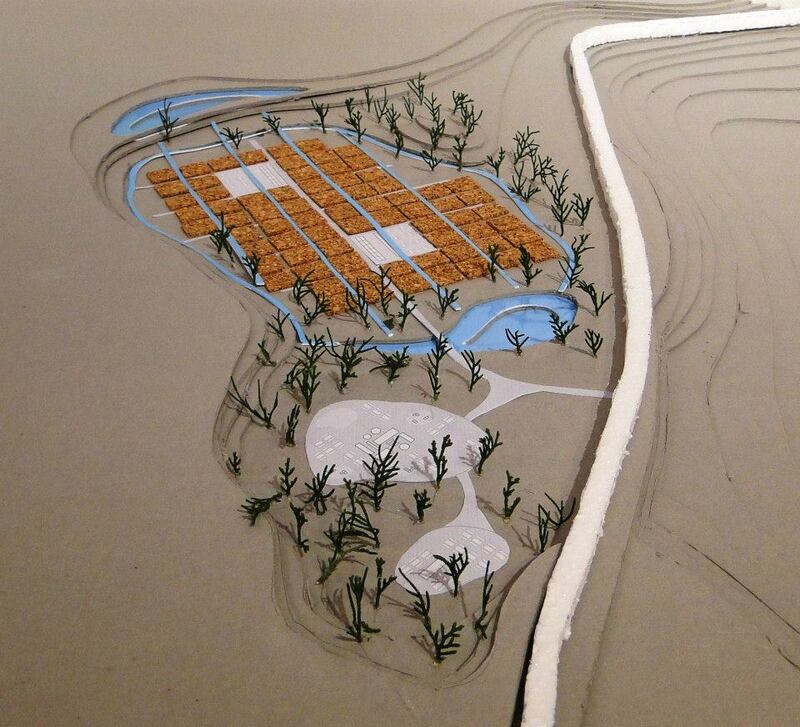 The only component that changed is that of the participatory urban gardens, since that scenario was not so widely accepted among the citizens and professional jury, but it doesn’t mean that it won’t happen in the future as the planning was flexible and reversible, and the appearance and use of the quarry area will depend on the interest and capacities of their users and final beneficiaries. From one of your first steps in the process you have opened the project to other stakeholders, starting with students of Split University who designed ten possible scenarios which you could exhibit to gain public interest. How important was it to develop this co-ownership? Since the students were included, there were no speculations of hidden interests within the project, as sometimes happens due to the lustful expectation and the everlasting conflict of public and private. The media supported the project widely, it was all around in the newspapers, on the local TV and radio stations, on social networks and in online publications. Other institutions wanted to join in and contribute since the idea, the motivation and the story behind it were completely transparent and oriented completely at the commons. Also, many people in Solin know someone who had worked in cement industry, so they had vivid memories, and some places just have that genius loci, historical, social and spatial aura that you feel the moment you step in there. In Majdan, all this overlapped. I still do not know if it was due to coincidence, or that only fools (and horses) believe in such thing as coincidence. When your city allocated 27.000 euros to develop, detailed architectural designs as a basis to apply for EU funds and physical redevelopment of the area, did you feel your project was part of an international trend of city-making citizens? The city of Solin and Split-Dalmatia County allocated their financial resources at a crucial point in the project development; when we had to develop the main design based on the winning students’ scenarios for a Sensory Park and a Hollow Forest. Actually, when you look at the process, I was the citizen who initiated the idea, other citizens supported it and were involved really directly into choosing the scenario that fitted their needs the most. By citizens, I mean everybody included in the process, including the public servants who work for the local government who normally would not get the chance to participate in any decision making. Although at this very place and at this very moment it would be nice to say that I was feeling like our project was part of an international trend of city-making citizens, I think that the honest thing to say is that I was actually overwhelmed with fears that someday, at some point, someone would accuse me of spending more than 30.000 euros of public money for the technical documentation of a project which never materialized, and that I would fail all the people who were part of the idea of transforming the site. So from that point on, the stakes were literally and symbolically increased. When meeting with the other cities in the Urbact consortium – Antwerp, Barcelona, Casoria (Italy), Dusseldorf and Vienna, all bigger cities – how did initial conversations on the scale develop? What were the common grounds you found? And do you see any benefits in representing Solin and not Split, your bigger neighbour? The network is focused on transforming the fringe areas of different scales, typologies and functions. When we discussed the scale issue, we concluded that it was actually an added value to our network that it consists of cities that differ in scale so largely. In that way, we can find new tools and practices for wider range of European cities that face more or less similar challenges in the fringe area, industry and infrastructure barriers being the most common one. I think that it was good to have Solin, and not Split in the network so we had the perspective of a smaller, peripheral city within the functional area of a metropolitan one. We can say that fringe area of Solin is a double fringe – firstly when compared to the centre of Solin, and then compared to Split. It is a sort of reverse perspective regarding for example Barcelona, Vienna and Dusseldorf, who have a “central” perspective. Now that actual redevelopment of the riverside and construction of the sites will begin shortly, what are your fears? And what do you look forward to most? Actually, I was invited and accepted to work for the city of Split since this year. The implementation of the Majdan project was something that was both personally and professionally very hard to release, but I believe that I did my role and that all elements are well set. Solin formed a great team for project implementation - I’ll be watching closely and give all my knowledge and loving to it, especially when it comes to development of the management plan. The project itself is a strategic one, and it is also one of the most financially valuable projects of the local government of Solin in the upcoming period, so nowadays it enjoys very wide political, social and financial support. I do not have any fears for the project except the procedural ones – the appearance of ineligible costs during the project implementation and failing to achieve the indicators we have set after the project ends. The plans on show. Photo: Majdan Solin. Many people have argued that in these times of mistrust of public institutions it is important to have good public ambassadors for your project, do you agree? And how can you ensure that your story is not simplified too much? How did and do you control community management? I think the Majdan project is an ambassador for itself. Lots of people have worked on it, heard of it and are looking forward to realizing it. The management plan will be made during the implementation period, respecting participatory methodologies, and the area definitely needs to be ran on the principles of community management since not a single institution or NGO has the capacity to manage the site and its’ facilities itself. It is a need and an urge at the same time. Speaking of simplification, it is not even possible to communicate and describe all the layers, processes, contributions and emotions around the management of the project - so I must simplify it both to myself and to you in order to tell the story. It might look plain and simple when written down in this conversation, like everything was normal and everyone acted normal and played their role, but it isn’t really so because otherwise we would have dozens of Majdans in Croatia and across Europe. This year is the EU year of cultural heritage and your project is an example of modernizing one of those sites. With the city of Split being home to Games of Thrones tourism, how do you prevent falling into the trap of serving those tourists rather than locals? There is no fear that our project will serve tourists rather than locals because it just doesn’t fit into their parameters neither by its’ nature nor by its’ location. 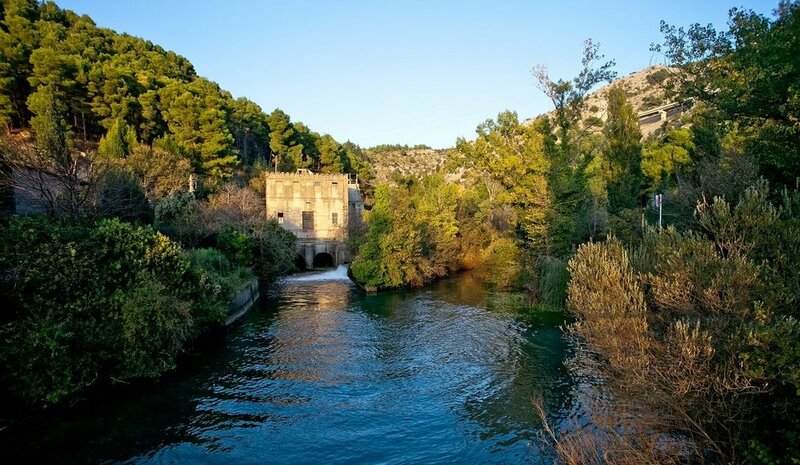 We want to tell the authentic, site specific story of the river, the Diocletian’s and Salonitan aqueduct, the protected Adriatic trout, and the traces of the cement industry which left significant traces in the landscape. If tourists want to visit the site, which we hope they will, they will get an authentic, not a staged experience, and get in touch with local people. As for the city of Split, their tourism strategy seems to be based on putting Roman soldiers and Emperor Diocletian in the spotlight in the Palace and the historical centre, which I truly dislike as a professional and as a citizen of Split. We have so much more to offer, with the most valuable being the historical and architectural layers which are found here due to the continuity of life and constant transformations of the city by its’ inhabitants. The historical core of Split and the whole city are overpopulated during the season, while visitors start to look for more authentic experiences and exchanges with local people. That is why I think that suburban sites, even art brut categories like Majdan, can disburden the historical cores, and in the end provide an example of good management of the site, its facilities and experiences to more popular ones. For us, as a philanthropic foundation, granting slow change-making processes is less easy to explain to third parties than ‘smart and lean’ grant-making. Still we believe that only in such a way can we truly make a difference. What could you tell our public to underline this point? ECF’s grant provided us the best possible tool to advocate the project on the local and regional level. The grant itself is complementary, but secondary to the advocacy it provides. I am sure that if it wasn’t for your support and grant, ‘Majdan’ would have been just a nice thought and some conversations held with other enthusiasts. People in Croatia are obsessed with counting the granted EU millions, and I am claiming that it doesn’t matter how financially big your project is, but what you do with it and what kind of change it triggers. For the last 3 years, I have worked on many projects whose financial value is not even comparable to the ECF’s grant. However, Majdan, realized with your support and grant, is my favorite and the most valuable one. Regarding the slow-change making processes, it is true that most people like instant changes and want to see them implemented in physical or social space immediately, but in parallel we should definitely not give up and support this slow-change, organic projects because not only results, but the processes themselves are worthy. When can we come to Solin and see your idea materialised into a visitor centre? And where to follow the process in the meantime? At the end of 2021 the site will be constructed and completely functional. In the meantime, you can follow us on social network. During the implementation period, we will design a project website that will integrate all the materials produced by now and show you the dynamics and activities. Now I realize that when I speak of Majdan, even though I work for an other city now, I use the term “we”, thus being a true example of gained ownership of the project. And last but not least, if you come to Split or Solin, be sure to visit the source of Jadro and the transformed marlstone quarry, the most beautiful site in the universe! You’ll probably find me there.